Bloomberg is launching its first Facebook Watch series this summer to teach millennials about finance. 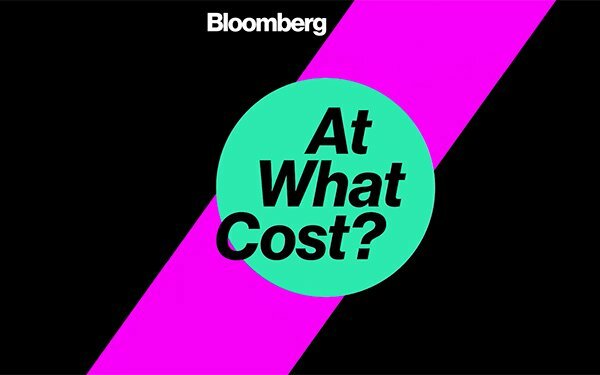 “At What Cost?” is one of about 20 shows from publishers that will launch on Facebook Watch, Facebook's site dedicated to video created exclusively for the social-media platform. It will launch later this summer. The weekly series will publish four-to-six minute episodes, focusing on “the week’s biggest headlines and explains how they will impact you, your finances and your future," according to a Bloomberg statement. The first half of each episode will address the top business news headlines of the week, then look to the week ahead. The other half will feature Bloomberg journalists fielding questions from the Facebook community, or breaking down commonly used terms in business news for a mainstream audience. “Airwaves and newsfeeds can overflow with business news that may seem remote and irrelevant: a central bank decision, trade talks, earnings results. But nothing changes the fortunes of humanity more than economic opportunity,” according to Bloomberg. “That opportunity is shaped on the business playing field every minute of every day by governments, industries, companies and individuals who engage in the cutthroat competition, destructive innovation, good deeds and bad,” it noted. “At What Cost?” will live in Facebook Watch’s dedicated new section to news. New episodes will debut on Wednesdays and a rotating group of Bloomberg journalists will host. Facebook Watch is as an opportunity for publishers to tap into the site's 2 billion+ users. Facebook funds publishers' production and experimentation on the platform. Quartz, for example, is another publisher launching a new Facebook Watch series this summer. That show will focus on the global economy. Bloomberg was the first publisher to launch a 24/7 show on Twitter last year. "TicToc" has since expanded its team to Hong Kong and London.